REV. 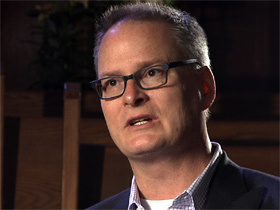 ADAM HAMILTON (Senior Pastor, The Church of the Resurrection, Leawood, Kansas): We had thousands of people who watched, who were either in person at the funeral or watched on television, and I felt like and they felt like if we could speak into tangible ways that they could bring good from this evil, that they could overcome evil with good, then there would have been thousands of people now inspired by this to live differently. And at the Easter services, of course, we have a large number of people who come, and so that was once more a chance to say this is God’s strategy for dealing with evil. It’s not returning evil for evil, because that just multiples the evil. It is overcoming evil with good. The Jewish community was the target of this shooting, and so they carried a sense of trauma that came with that, knowing that the bullets were intended for them, and at the same time a deep concern for our community, because two of the victims were members of our church, and in our case our members recognizing there are people who are traumatized who ended up not being victims of the crime, but traumatized because they were the intended victims. So it was really good for us to come together, the Jewish community and the Christian community, in prayer and in offering words of hope. This family had remarkable strength. They have a deep faith, they had a conviction, a clear conviction that God did not will this to happen. And they regularly said that, which I was really grateful for, because so often you hear people say “it must have been the will of God,” and our family had learned, you know, in the church that this is not—God doesn’t do this. He doesn’t invite or beckon people to shoot one another. And so they drew comfort from their faith, from the hope that they had that they would see their loved ones again. They weren’t angry with God, because they knew this was not God’s will, and at the same time they really wanted to see something good come from this, and so I watched their strength, and they amazed me. I think anger is a normal response to something horrible that someone has done, another human being has done, and to rob people of life, and that’s actually healthy to have, to feel that. At some point you have to figure out how do I let that go? How do I not become consumed with bitterness and anger towards someone who’s victimized myself, or in this case this family? And I think our people, we’ve preached on this enough times, forgiveness and grace and why that’s really for you as much as for anybody else, but part of what we did is I tried to help the congregation, both at the funeral service and on Easter, to understand what makes a person do things like this. So I spent time watching every interview I could find with the person who committed his crime, and then we talked about how our defining story ends up shaping our souls and that this man’s defining story was one of hate. It was the idea that descendants of Anglo-Saxons are victimized and oppressed by the Jewish people, and therefore the Jews must be dealt with, and there was all this vile rhetoric in this story that he told himself day after day, week after week, month after month, year after year, and then he surrounded himself with people who told that same defining story, and that led to a warped personality that finally acted out on it, and then I talked about but what’s our defining story? And our defining story as Christians is the good news of Jesus Christ, who came and told us to love our enemies, who told us to turn the other cheek, who called us to love God and love our neighbor and be compassionate and concerned for those who are vulnerable, and then we talked about the idea of, you know, what’s your defining story and how your defining story either makes you more human or less human. It makes you concerned for the vulnerable or concerned only for number one, and by the time we were finished with that I think it helped the congregation anyway let go of their anger and hate and—or not hate but anger, and to decide I want to live into the defining story that is Jesus Christ. I want the public to know that it’s possible to survive something so horrible as this with strength and character and love, and part of what it takes to do that is a deep faith. Part of what it takes is friends and family who surround you with love and care. And part of it is to channel the deep grief and the anger towards ensuring that something good comes from this. And part of what we did at Resurrection, again, at the funeral and at Easter, was to talk about ways that God had forced evil to accomplish good. We looked at Emmett Till in 1955, who was 14 years old when he was beaten death and thrown in a river, and then his mother insisted on having an open casket when his body was grossly disfigured. But that was an impetus for the civil rights movement. I mean, it just really charged the civil rights movement in the 1950s And then in 1963 at the 16th Street Baptist Church bombing in Birmingham, Alabama, http://to.pbs.org/R4qGPy three of the four girls who died were 14 years old, again, killed by white supremacists. And then we talked about the fact that God always forces that evil to accomplish good. This is what Dr. King said at the funeral service, and so out of that came the 1964 Civil Rights Act. The book of Job, this epic poem, is meant to say that suffering sometimes comes to the innocent and to those who haven’t done something horrible, and so it calls into question that whole—that old orthodoxy. Jeremiah does the same thing, you know, and in places in the Psalms. 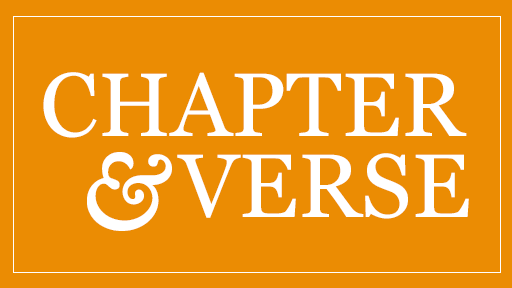 So you’ve got this one strand of the Old Testament that—or the Hebrew Bible that seems to indicate that God does everything, and everything happens because God wants it to happen. And you’ve got this other strand that says no, people have choices. They, you know—we might do things that lead us outside of the protective arms of God, but it’s not God bringing suffering and pain upon us. So you’ve got both of those strands in the Bible and you’ve got to figure out which one you end up holding onto. And at least in my faith tradition we typically don’t believe that God does evil, that God wishes harm for people, and that human beings make those decisions, and what I said to our congregation is from Genesis chapter 2 through Revelation 18, the story is not primarily the story of God, you know, causing bad to happen. It’s human beings making bad choices and misusing their freedom and God trying to pick up the pieces and put it all back together again. And I strongly challenge our people in this area of, you know, does everything happen for a reason? You hear people say that, even thoughtful people say that, thinking it’s comforting, and I remind them, if you mean cause and effect, of course everything happens for a reason. But if you mean that God has some master plan and that this was a part of his plan and he wanted a 14-year-old boy to be shot to death, then no. This is against everything we see in the heart and character of God revealed in Jesus Christ, and so, you know, God grieves at those things. We see, you know—the Noah story is about God grieving over the violence human beings commit against each other, and I remind them, you know, everything you do isn’t because God wanted you to do it. Otherwise why would you ask for forgiveness? If you’re, you know—you ask for forgiveness because, you know, you did something God didn’t want you to do. And that’s a major theme of Scripture is we human beings are misusing our freedom. So when it comes to providence, you know, we don’t believe that God intends hurt and pain and inflicts that hurt and pain in these ways. It’s unjust suffering, but God uses it; he bends it for his purposes. 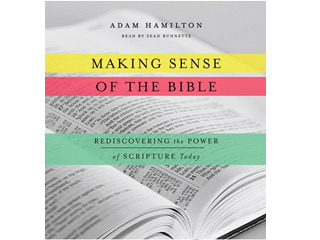 I think it’s helpful for us to recognize the Bible’s humanity as well as its divinity, and the problem today is that many people have elevated Scripture so high that we focus only on its divinity, and we fail to recognize its humanity, and then we get stuck because we end up with passages of Scripture that none of us think accurately reflect the heart and character of God. But what do we do with them if we’re not willing to recognize the Bible’s humanity? We live in bodies that are fearfully and wonderfully made, yet they are not immune to illness and pain. We have hearts that are capable of experiencing great love, but sometimes they get broken. We live on a planet that is amazing, beautiful, and full of wonder but not protected from powerful destructive forces of nature. We are capable of doing wonderful and selfless things but also self-absorbed and harmful things. This is the world we live in. God’s role in superintending our world and our lives is neither absentee landlord nor micromanager. God created the world and the laws of nature that govern it. God created human beings in his image. Through Jesus he has shown us the way, the truth, and the life. By means of the Spirit, the scriptures, and the church, he continues to reveal his will to us. He has given each of us a heart, a mind, and a conscience as tools to help us find our way. And he gives us freedom to accept his guiding hand or reject it. God’s primary instrument in caring for his planet and people on it is other people and collectively the church. We are our brother and sister’s keepers. God works through doctors and nurses, friends and family, and even strangers. This is God’s ordinary way of working in the world. Our task is to pay attention and see who might need us. Watch web-only excerpts from our recent conversation with the United Methodist pastor of the grandfather and grandson who were shot to death outside a Jewish community center in Kansas.